When do you decorate for Christmas? This year my goal has been to decorate and buy all Christmas presents before December 1st! I'm hoping this will leave more time for the true meaning of Christmas. While decorating my home I decided to look for more decor through Etsy! During my online shopping I stumbled across Little and Tiny Designs Etsy shop. Oh my goodness- the shop owner Nicole has so many adorable products. Her handmade items are TOO cute! Two of my favorite Christmas decor items are the sock snowman and the tie dyed ornaments. Although the snowman is not a toy, I sure wouldn't mind seeing this cute decor next to my Christmas tree. :) The handmade sock snowman reminded me of my childhood. Sigh...life goes by too fast! There is nothing quite like handmade and meaningful decor! 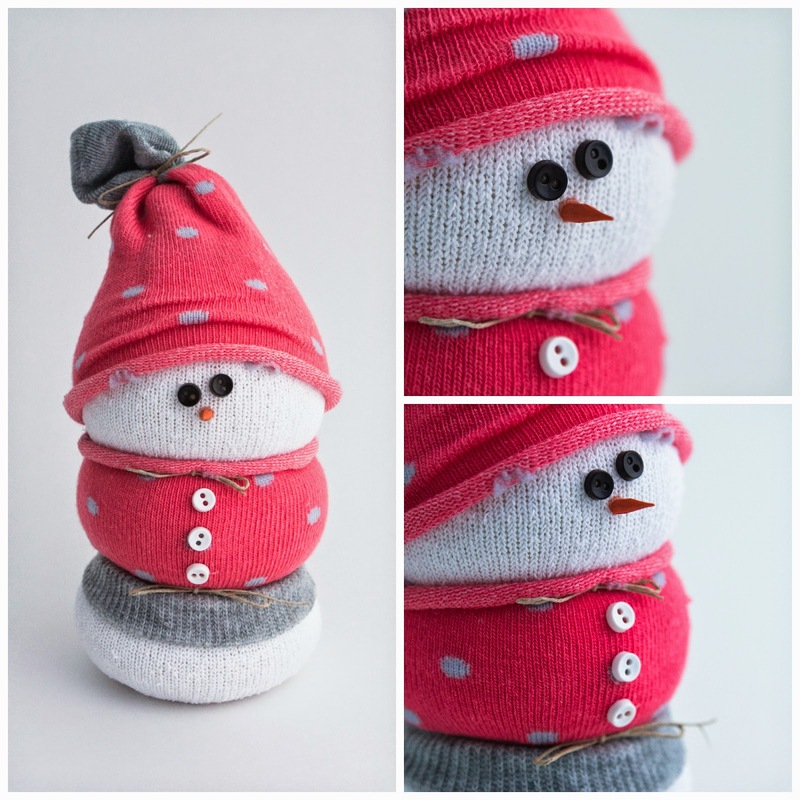 Little and Tiny Designs has offered to giveaway one adorable Sock Snowman. Too cute! You can enter the giveaway below. Don't forget to read the terms and conditions. 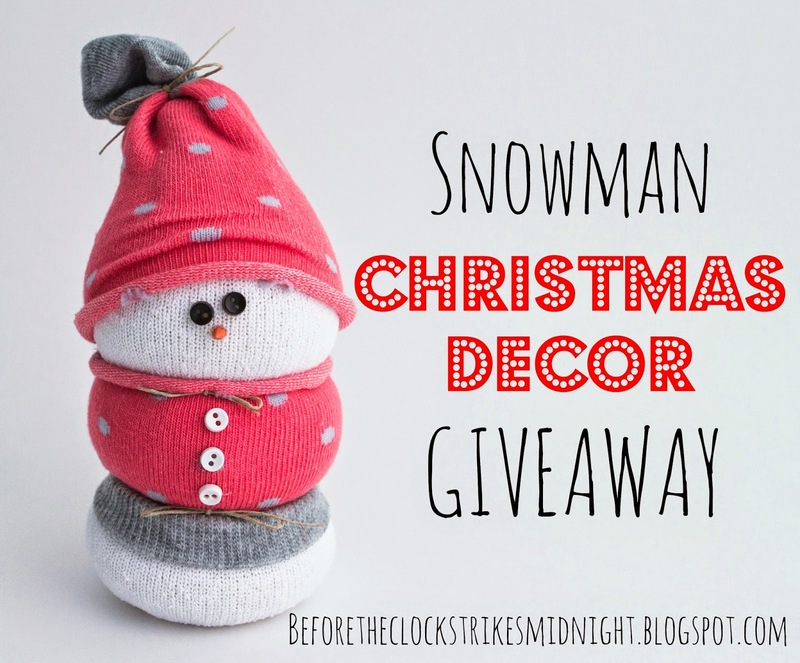 The winner will receive (1) Sock Snowman from the Etsy Shop Little and Tiny Designs. Anyone wanting to enter must live in the United States and at least 18 years old. Refer to the giveaway for details on the opening and closing dates. The winner is chosen randomly and will be announced two days after the giveaway closes. The winner has 48 hours to respond or the prize will be given to another person. What a cutie. I have been making more of my holiday decorations. they have so much selection! i love the Peace Sign Button Pillow Cover! and the keyrings!